The National Sorghum Producers board met Feb. 27 at the Gaylord Plams in Orlando, Fla., at Commodity Classic. Board members reviewed financials, minutes, a couple of by-law changes and other clerical issues. Kelly Riney, NSP development director and Tim Lust, NSP CEO discussed the sorghum PAC fundraising activities, and Riney is excited with the progress of their efforts. “I hope PAC can continue to grow, and grow, and grow,” she said. 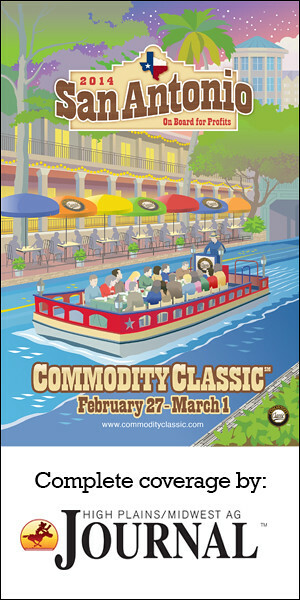 NSP will hold fundraising activities at Commodity Classic March 1. Events feature a PAC auction with entertainment following the recognition of their yield contest awards dinner. Later in the board meeting, possible changes to the yield contest were discussed, but more discussion was tabled for a later date. After a lunch break, Tom Sell and Judd Gardener gave the NSP board a farm bill update. For more information about the National Sorghum Producers visit http://sorghumgrowers.com/.